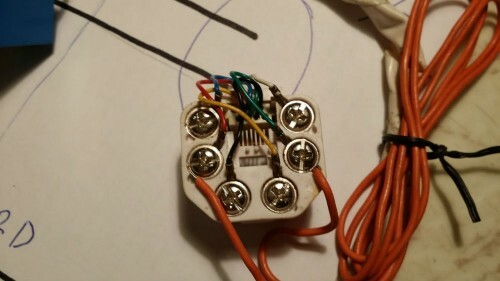 This is a disconnect switch I made about 20 years ago and I still use it… couldn’t find a product that does the same thing. It basically “unplugs” your phone line during the times set in the timer… I use it between midnight and 7am, I’m guaranteed no one will phone with a wrong number during those hours, and my computer be off-line for hackers during those hours. There is the minor issue of your router getting a new i/p address each day, but for most people that doesn’t matter… it just might be a plus, because if someone is trying to hack into your computer, you will probably frustrate him by getting a different i/p address every day. To “Make” it, get any phone line and cut it leaving only the male end… carefully find the 2 wires that are connected to the 2 center wires in the male end, and connect these to the relay contacts as shown. 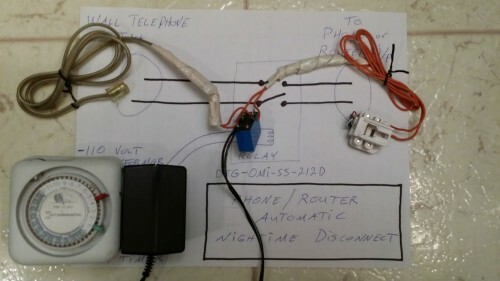 Get an old standard telephone jack, female end, and hook up the 2 center wires to the relay. These are usually the red and green wires… know as tip and ring. Make sure you don’t “cross” the 2 wires somewhere. It usually doesn’t matter on a phone, but sometimes it does matter on a router. 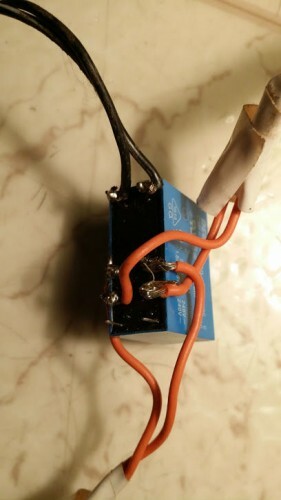 Now connect a 12 volt dc power supply transformer to the relay coil, and plug it into the timer. Your done. Now test it. Plug the male phone end into the wall phone jack, and the router or phone into the female jack. Without the timer plugged into the wall, your phone or router should work as before. With the timer plugged in, your phone line or internet connection should go down. It’s a good idea to do an upload/download internet speed-test before and after this install just to make sure you don’t have a weak connection somewhere. 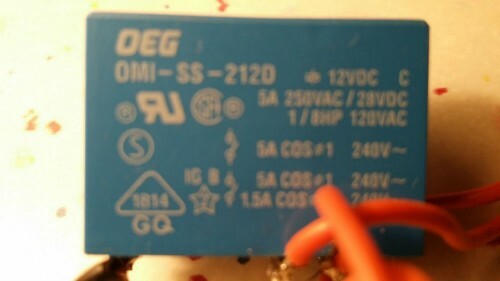 The relay I used is probably a ‘run of the mill’, 12 dc relay, so it wouldn’t hurt to get a communications grade relay if you prefer. 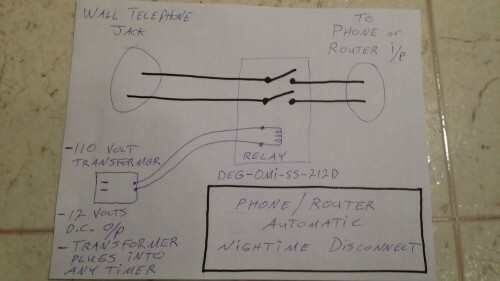 Note: Another option is to plug a splitter into the wall, and only use this disconnect switch on the router side, or only the phone side.